Transaction is complete unit of work. Assuming you transfer money from checking account to saving, system should deduct money from the checking and add it to the saving accounts at once. Even if those are 2 independent operations, you don’t want it to “stop at the middle”, well at least in the case if bank deducts it from the checking first 🙂 If you don’t want to take that risk, you want them to work as one single action. (A) – Atomicity or “all or nothing”. Either all changes are saved or nothing changed. There are no transactions if you call insert/update/delete statements without begin tran/commit statements. Not true. In such case SQL Server starts implicit transaction for every statement. It’s not only violate consistency rules in a lot of cases, it’s also extremely expensive. Try to run 1,000,000 insert statements within explicit transaction and without it and notice the difference in execution time and log file size. There is no transactions for select statements. Not true. SQL Server uses (lighter) transactions with select statements. There is no transactions when you have (NOLOCK) hint. Not true. (NOLOCK) hint downgrades the reader to read uncommitted isolation level but transactions are still in play. Each transaction starts in specific transaction isolation level. There are 4 “pessimistic” isolation levels: Read uncommitted, read committed, repeatable read and serializable and 2 “optimisitic” isolation levels: Snapshot and read committed snapshot. With pessimistic isolation levels writers always block writers and typically block readers (with exception of read uncommitted isolation level). 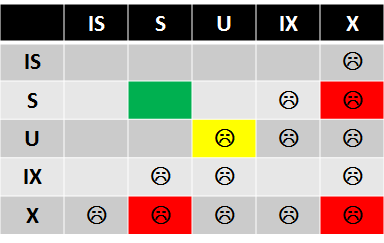 With optimistic isolation level writers don’t block readers and in snapshot isolation level does not block writers (there will be the conflict if 2 sessions are updating the same row). We will talk about optimistic isolation levels later. So, as you can see, in read uncommitted mode, shared locks are not acquired – as result, readers (select) statement can read data modified by other uncommitted transactions even when those rows held (X) locks. As result any side effects possible. Obviously it affects (S) lock behavior only. Writers still block each other. In any other isolation level (S) locks are acquired and session is blocked when it tries to read uncommitted row with (X) lock. In read committed mode (S) locks are acquired and released immediately. In Repeatable read mode, (S) locks are acquired and held till end of transaction. So it prevents other session to modify data once read. Serializable isolation level works similarly to repeatable read with exception that locks are acquired on the range of the rows. It prevents other session to insert other data in-between once data is read. So you access Table1 in read uncommitted isolation level and Table2 in serializable isolation level. It’s extremely easy to understand the difference between transaction isolation levels behavior and side effects when you keep locking in mind. Just remember (S) locks behavior and you’re all set. Next time we will talk why do we have blocking in the system and what should we do to reduce it. 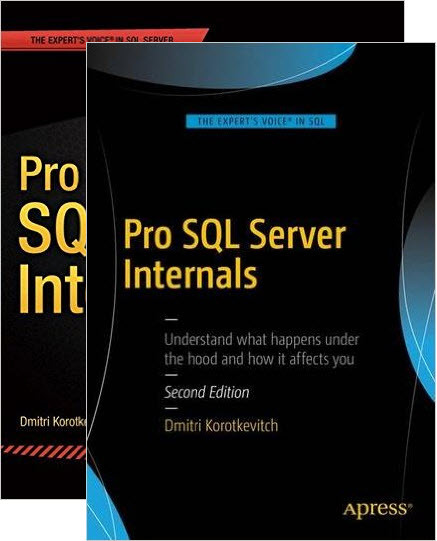 This entry was posted in General, SQL Server 2005, SQL Server 2008 on April 28, 2011 by Dmitri Korotkevitch. One of the most challenging issues for developers who don’t live in RDBMS world is how to make the system working seamlessly in multi-user environment. The code which works perfectly in development and QA starts to fall apart when dozens of users access the system. There are timeouts, deadlocks and other issues that developer cannot even reproduce in house. 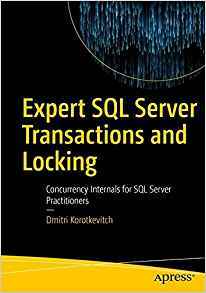 It does not really matter that SQL Server uses row level locking, that transaction isolation level set to read uncommitted – locking, blocking and deadlocking still occurs. Today I’m going to start the series of the posts about locking in Microsoft SQL Server. I’ll try to explain why blocking and deadlocks occur in the system, how you can troubleshoot related problems and what should you do in order to minimize it. We will cover different transaction isolation levels and see how and why it affects behavior of the system. And talk about quite a few other things. So let’s start with the lock types. What is the lock? In short, this is in-memory structure (64 bytes on 32 bit OS or 128 bytes on 64 bit OS). The structure has the owner, type and resource hash that links it to the resource it protects (row, page, table, file, database, etc). Obviously it’s more complicated and has quite a few other attributes, but for our practical purposes that level of details is enough. SQL Server has more than 20 different lock types but for now let’s focus on the most important ones. Shared locks (S). Those locks acquired by readers during read operations such as SELECT. I’d like to mention that it happens in most part of the cases but not all the time. There are some cases when readers don’t acquire (S) locks. We will talk about it later. Update locks (U). Those locks are the mix between shared and exclusive locks. SQL Server uses them with data modification statements while searching for the rows need to be modified. For example, if you issue the statement like: “update MyTable set Column1 = 0 where Column1 is null” SQL Server acquires update lock for every row it processes while searching for Column1 is null. When eligible row found, SQL Server converts (U) lock to (X). Intent locks (IS, IX, IU, etc). Those locks indicate locks on the child objects. For example, if row has (X) lock, it would introduce (IX) locks on page, table and database level. Main purpose of those locks is optimization. This about situation when you need to have exclusive access to the database (i.e. (X) lock on database level). If SQL Server did not have intent locks, it would have to scan all rows in the all objects and see if there are any low level locks acquired. (S) locks are compatible with (S) and (U) locks. Simple enough. Next time we will look at transaction isolation levels and see how it affects lock behavior. 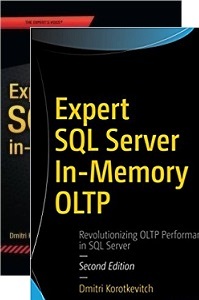 This entry was posted in General, SQL Server 2005, SQL Server 2008 on April 14, 2011 by Dmitri Korotkevitch.